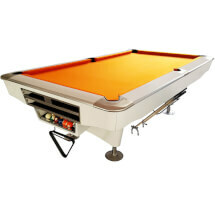 The biggest range of slate bed pool tables in the UK. 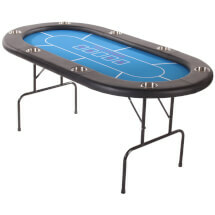 Build your dream games room with a table from our extensive selection. From luxury slate beds to folding family tables, we hold the lot in a variety of styles, colours & finishes. Brand new arcade cabinets pre-loaded with classic games. Various cabinet styles with up to 2,000 games - or more! Relive your favourite arcade games from the '80s and '90s. Switch between games in moments. Air hockey tables for your home or commercial venue. Sharpen your reflexes with one of the fastest, most exciting games around. 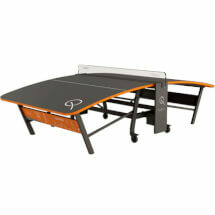 Air hockey tables create air cushions with powerful fans, for ultra-fast puck speeds & endless fun. 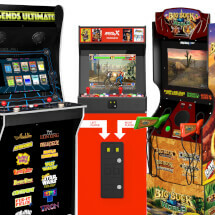 The latest commercial arcade machines from big brands. Shooters, racers, simulations & much more - all the greatest arcade hits. Real arcade videogame cabinets from brands including SEGA, Namco, Raw Thrills & many more. Quality football tables for your home or business. Bring the beautiful game home. Test your skill & coordination. 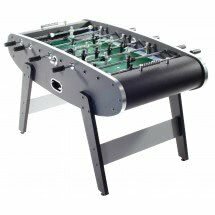 We stock foosball tables for family games rooms, luxury homes & busy venues. Find your perfect table here. A vast range of new & reconditioned pinball machines. We stock brand new tables from Stern, Heighway, Chicago Gaming Co. & more. Or browse our range of refurbished classics, carefully restored to their former glory. A collector's dream. Full-size, replica, digital & miniature jukeboxes of all sizes. Exclusive home sound systems with digital, CD, radio & vinyl compatibility. With built-in light shows, exceptional sound quality & modern connectivity, these jukeboxes tick all the boxes. Indoor & outdoor tables for homes, clubs & sports centres. 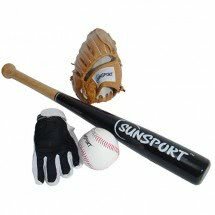 The latest products from brands including Butterfly, Cornilleau, Dunlop & more. 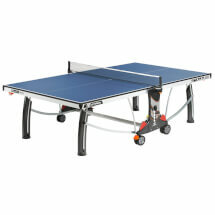 Whether for indoor or outdoor, choose your perfect table from our extensive range of quality tennis tables. Games tables with multiple games built in. Ideal for homes. Quickly swap games & save space, with 2, 3 or more games in 1 table. Have your cake and eat it with a multi games table. Designed for busy homes, they are versatile & lots of fun. 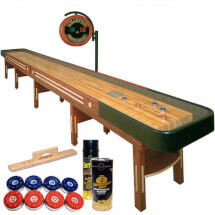 A huge range of professional shuffleboard tables & accessories. Introduce this unusual, fun game to your venue or home. We stock a variety of different finishes & styles in sizes ranging from 9ft to 22ft. 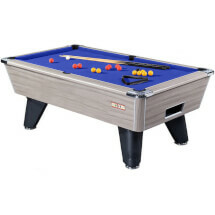 Teqball tables for your club or home. Master this exciting new ball game! Teqball is the latest craze, combining football and table tennis in a unique, exhilarating game. Reconditioned & reproduction slot machines for collectors. Go back to the beautiful lights of Las Vegas with your own one-arm bandit. With plenty of nostalgia, these playable machines are fully-functional & ready to play. 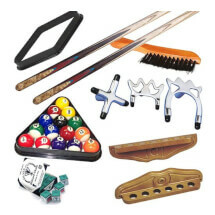 Full range of spares & extras for all your games room needs. Maintain your table, upgrade your accessories & stock up on spares. Spare game accessories for the games room. Replace lost & broken items, or keep your table fully-maintained. We stock everything you need to play darts. 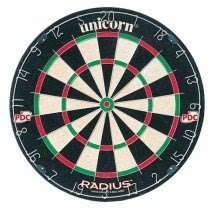 Add this favourite pub game to your home with one of our dartboards or cabinets. Introduce a new game to your games room with a darts centre. Also includes electronic models with safety darts. Tournament-spec & family tables for rooms of any size. 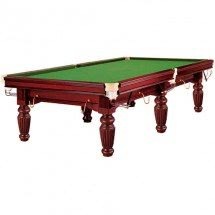 Elegant snooker tables with slate or MDF beds. Perfect for home or games room. All you need to play the gentleman's game at home. Browse 12ft slate bed tables, folding family tables & more. Host poker tournaments at home with friends. Poker tables, chip sets, mats & more. All you need to play the game. Choose the perfect table for your game of poker. Add a boxed chip set in your choice of denominations & colour. Bars, neons & everything you need to finish the games room. Choose from our range of pre-made neon lights or design your own. Be the perfect host with an elegant home bar in your games room. Add furniture, decor & more to your space. Coin-operated machines for your commercial premises. Open new income streams & keep your visitors entertained. 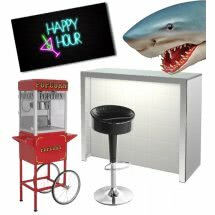 With secure cash storage & configurable mechs, your customers can entertain themselves for hours. A range of outdoor games for playing in the sunshine. From football to quoits, croquet to kids' play centres, we've got it all. Make the most of the great British summer with our selection of outdoor games & pursuits. Choosing a pool table for your home or commercial premises couldn't be easier. However, it is worth knowing a few hints and tips to ensure the table you are focusing on is appropriate for your location. Pool tables can be loosely categorised in to slate bed and MDF / light weight tables. A full size British or UK pool table is 7ft x 4ft in overall size. 6ft tables are used where cueing room is too restrictive for a 7ft pool table - these are common in pubs in the UK and around the world as these types of buildings often have irregularly sized internal space. If a 7ft table is required (for example for a pool league / league practice at home) a short pool cue can be provided to deal with tricky angles. There are actually two types of pool tables: American and British. American tables at full size are 9ft in length and have larger pockets, as well as larger balls, and use a nylon 'speed' cloth as opposed to a wool 'napped' cloth used by their British counterparts. American tables have in the past come in a wider variety of styles, however nowadays UK pool table designs are just as creative as their American cousins. All of the pool tables you see on the Liberty Games website come with a free accessory pack. These are designed to give you the basics to play your table the second it is unpacked. You can expect 2 cues, a pool ball set, a triangle, chalk and in most cases a brush to maintain the felt of your pool table. Our staff are pool enthusiasts and regular players (some better than others), and most have their own table at home. So if you have any questions at all please give us a call or drop us an email and we'll be more than happy to help. Investigating the world of arcade machines is an extremely interesting journey. 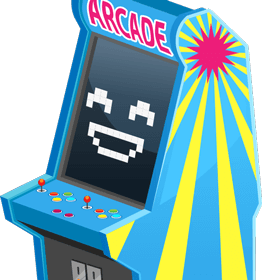 Arcade machines are usually broken down into several loose categories including: shooting machines (think Point Blank, House of the Dead etc. ), driving machines (Outrun, Mario Kart etc. ), dance machines (Pump it Up!, Dance Dance Revolution etc. ), fighting games (Tekken, Street Fighter etc.) and more recently multi game or multi play arcade machines. The multi game machines have opened up a huge potential in the arcade market. For the first time home users can enjoy 60 to 2000 of their favourite arcade games in one arcade quality cabinet. Games include Space Invaders, Pac man, Galaxian, many of which put arcade machines on the map. The very latest multigame arcade machines are moving towards more modern classics starting from the Street-Fighter era and are well worth a look. 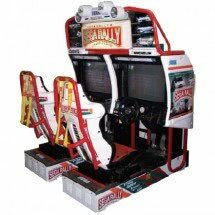 Although the multigame machines are a superb games room addition, nothing yet in the multigame world comes close to having a blast on a dedicated arcade machine like a Sega Rally or shooting zombies on House of the Dead. They make a very impressive piece in any home games room or commercial premises. Air hockey is a true classic. Buying an air hockey table for your home can provide endless entertainment for the whole family. 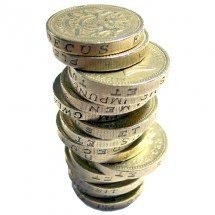 Buying a coin operated table for your commercial premises can be one of the best investments you make this year! 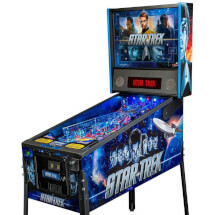 There are broadly three types of air hockey tables: home tables, semi commercial (for youth clubs etc) and coin operated / commercial tables (meant to be used unsupervised and really take a beating). A full size air hockey table is 8ft in length, however practically most customers choose a 6ft or 7ft tables for a home. If a commercial premises or youth club has the space then the big 8ft tables provide the ultimate in entertainment value (we even retail double-player tables if you have some real fans). We are an authorized retailer for Strikeworth - a great brand providing excellent value tables, with stunning looks at a price that won't break the bank. Football tables can be loosely categorised into three main areas. Home or MDF tables, semi commercial tables and coin operated tables. 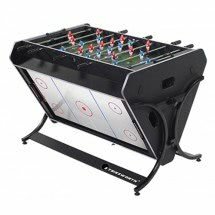 Although in the UK we generally refer to these as table football tables, anyone familiar with American culture will be aware that they can also be known as foosball tables - the two terms can be used interchangeably. There are a few keys things to look out for when choosing a football table, the first is to look at how the football players on the table are laid out. A standard UK football table has a 1-2-5-3 set up. Some of the lower end tables do not always follow this rule but it can make a difference to how they play, for example if the table doesn't have raised corners then extra players may be necessary to 'fish' the ball out. You may also want to consider the playing rods on the table. Some tables have solid rods that poke through the table, other, more modern tables have 'telescopic rods' that essentially fold over themselves making them neater and safer (especially if you have young children). Foosball experts will choose solid rods as they give a slight edge on ball control, but for most people telescopic rods give plenty of control while offering the extra safety discussed above. From a commercial point of view, coin operated football tables are an excellent way to turn a conservative investment into a great income stream. Most coin-op tables come with a glass top (although this is not essential and does add cost - but it does prevent people from stopping the ball going down the goal, and therefore playing for free) - they are built with very sturdy rods and are designed to last for many years. The world of home and commercial jukeboxes has been in constant evolution over the last decade. 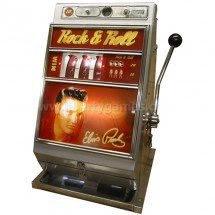 The market leaders in terms of quality bubbler jukeboxes are now Rock-Ola, Wurlitzer and Sound Leisure. However there are also a number of replica models now available, which offer a similar look, at a slightly reduced size but vastly reduced cost. Buying a jukebox for your home is a very exciting process, whichever room is chosen to house your jukebox will be transformed forever into a pool of mesmerising light and sound. 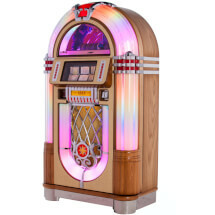 If you are purchasing a coin-operated jukebox for your commercial premises you may find it the best investment you make this year. Jukeboxes can take over £500 income per month meaning not only can it can pay for itself in a very short time, but your customers will love being able to listen to their own choices of music. Rock Ola jukeboxes emerged back into the UK market over the last 5 years and now stand toe to toe with the more recognisable Wurlitzer brand. Rock-Olas are now seen as the higher quality alternative and have many features our sales team can let you know about.